Need a Healthy Treat to take to a Labor Day Party!! 1. 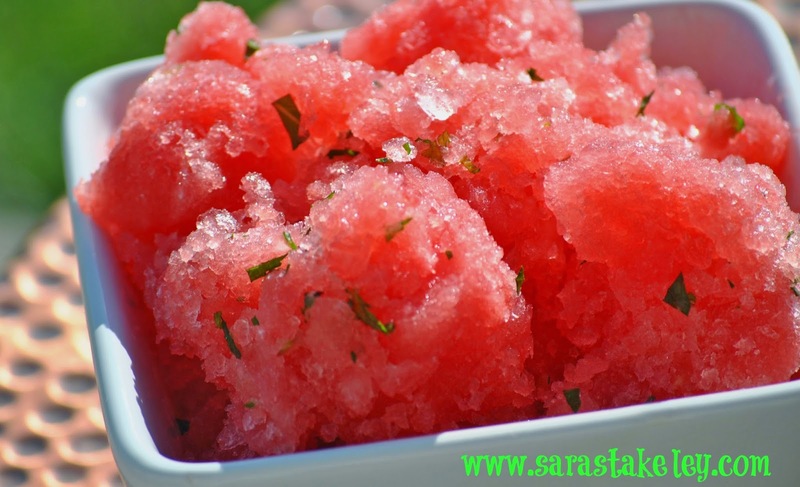 Place watermelon, honey, lime juice, and mint (if desired) in blender; cover. Blend until smooth. 2. Place blended mixture in a shallow bowl; cover. Freeze for 2 to 4 hours, mixing with a fork every 30 minutes to break ice crystals. 3. Garnish each serving with a mint leaf if desired. Need a SPA day at home? Maybe the kids are back at school and you need to MOMMY MAKEOVER Day!!! You can make a homemade mask and eye treatment with green tea bags!! AHHHH!! RELAX! To soothe or heal skin irritation from sun exposure, try this avocado mask. • Mash one whole avocado. • Add 1 tsp. flaxseed oil and 1 tsp. honey. • Mix together until smooth and creamy. • Apply to face and let sit for 15 to 20 minutes. • Rinse clean with warm water. This mask exfoliates and removes dead skin and blemishes, leaving your skin feeling soft and smooth. • You’ll need: 3 to 4 egg whites and 1/3 cup oatmeal. • Apply and rub mixture onto skin. Oatmeal will exfoliate the skin. Allow for mixture to sit for 5 minutes and let egg whites dry. This mask purifies and cleanses the skin, leaving your face feeling cool and smooth. • Cut a cucumber into thick slices and place in a blender. Set aside 2 thin slices of cucumber for the eyes. • Throw 3 mint or parsley leaves into the blender. Puree to a paste. • Mix the cucumber puree with the yogurt in the bowl. • Cover your face with the cucumber mask. 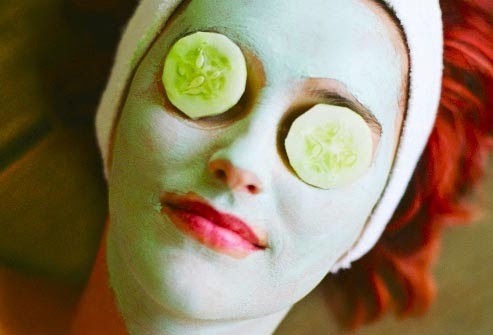 Place thin slices of cucumber on the eyes and let sit on the skin for 15 minutes. 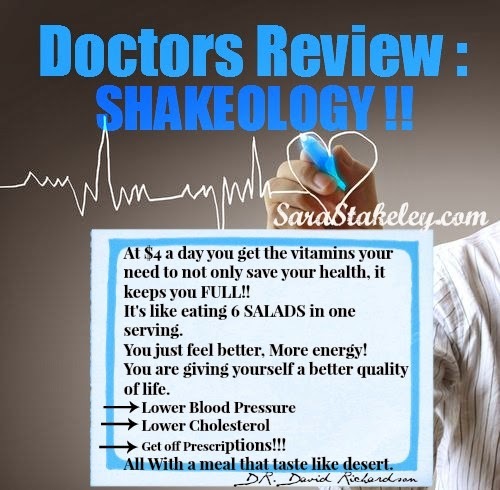 Ready to SHAKE UP Your Health?? Sometimes we all just need that little “boost” or accountability to fire things back up, right? I want to shed those extra pounds from Summer Parties and Vacations and keep myself in check before the holiday season. For you, maybe it’s time to do some Spring-cleaning in the ol’ diet, create a new nutrition habit or just hit the RESET button. Regardless of why you decide to join the program, have faith knowing you are doing something GREAT for yourself. I am going to teach you lots of tips, tricks, give you recipes and guide you on the path to creating some new healthier habits. It’s nice to know that you are not alone in this, that you have 10-20 other people that are going to be here for you holding you accountable to staying on track each day for the next 14 days. 1. 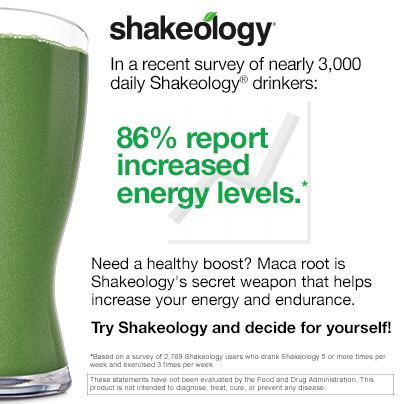 Get on Shakeology Home Direct (HD = get yourself free shipping). FREE stuff, yeah! Also, there is a 30 day money back guarantee. So if for any reason you do not like Shakeology or it doesn’t work for you then return for a full refund! 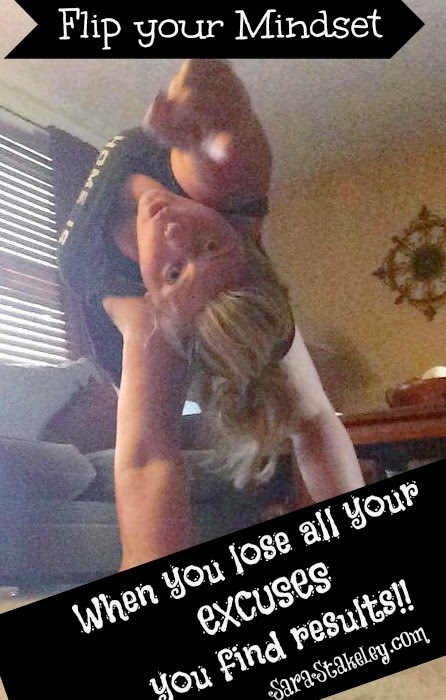 But what do you have to lose?!?! Purchase a 14-day supply of Shakeology with Chocolate, Strawberry, and Vanilla a combination of the 3 by creating a free account at www.teambeachbody.com/sarastakeley2 and sending $75 to sarastakeley@yahoo.com via paypal. Then, I will put your 14-day Shakeology Package in the mail and you can begin the challenge. *Make sure to add your name and address to your order! 2. Commit to replacing just ONE meal a day with your favorite Shakeology and recipe. 3. Press play at least 4 to 6 x’s a week and CHALLENGE yourself! Don't just go through the motions. If it’s your first time doing PiYO or second round with P90X3 up the weight, do 2 more reps or SLOOOOOW down your repetitions. If you are new to fitness I challenge you to do some form of physical activity at least 3-4 times per week religiously or continue with the fitness routine that you are currently doing and up the intensity. 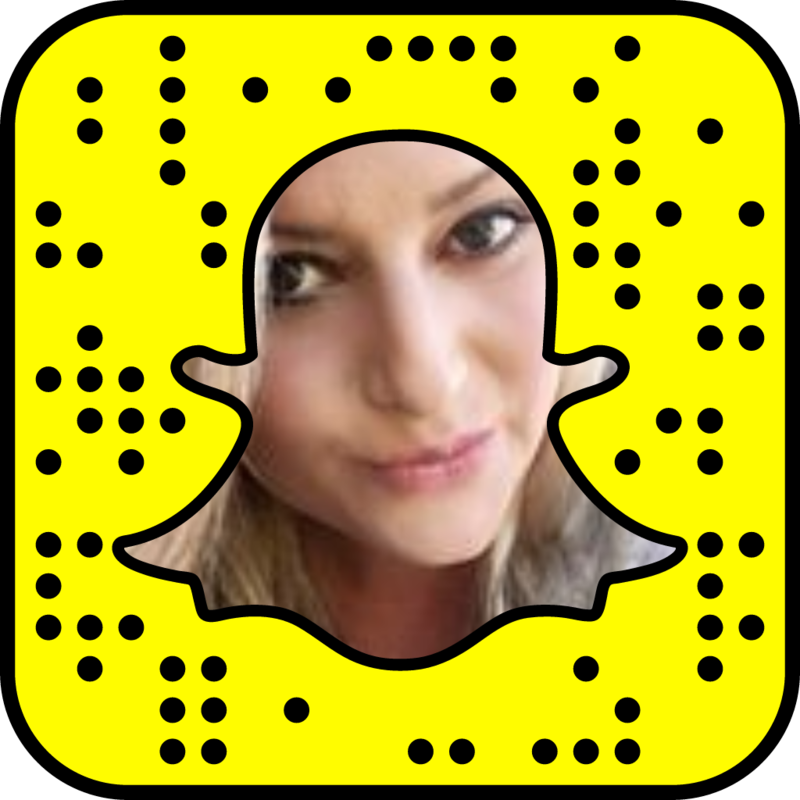 If you need help getting started I can help you with that as well. 4. Either at kick off or end of the 14-day program, do the 3-Day Refresh Cleanse. For me, it will come at the end. You can really save when you order the two together!! (this is optional and you do not have to do this). 5. Request to join our Facebook Group – 14 Day of Shakeology Shake Off and post your success (so we can celebrate), questions (so you can be successful), tips (if you have ‘em to share with the group) and any feelings that may come during the challenge period. 6. Check into the group page as often as you can. I’m not going to set any daily requirements, but by posting AT LEAST, 3 x’s a week, may just enter you into winning some end of challenge prizes! 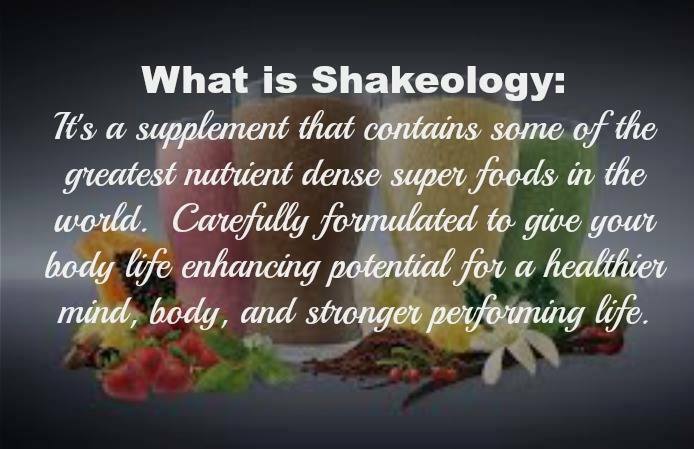 As a participant AND my customer in the 14-Days of Shakeology Shake Off, I will assure your success in feeling better about your nutrition selections and helping you establish realistic expectations and a strategy to get there (success will only come with YOUR commitment to change bad habits). I will also share with you how and what I eat to keep my energy up and sustain my weight through tools available as a Team Beachbody community member (free member and club member). 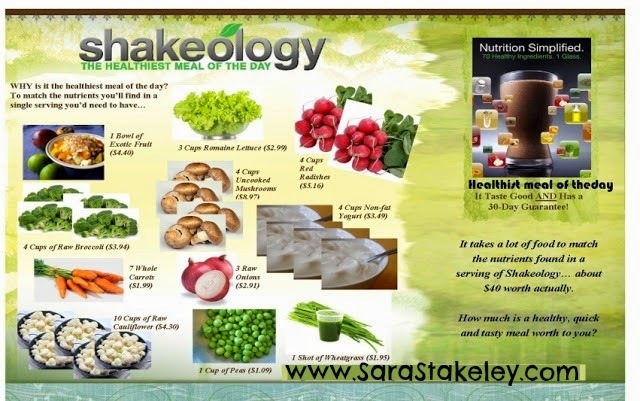 It’s not rocket science or a deprivation of foods and taste, but more of learning to make smart choices, with which, in my opinion, really clicked as I had Shakeology as my staple in my diet. Ok, so you saw PRIZES and said, “pick me, pick me”!! Now, on to the FUN PART! When the challenge begins, check in as often as you can. I’m not going to set any daily requirements, but at a minimum, check in and post on the Group Page, 3 x’s during the 14-day challenge. At the end of the 14-Day Challenge period, for anyone still active and successful (you’ve been on Shakeology HD, posted in the group page, pushed play, etc. ), I will select 2 winners, AT RANDOM, to receive another special gift. Top Tips for finding health with a BUSY lifestyle! In today’s world, it seems as if everyone is busy. You talk to someone and they say, “Oh my gosh, I’m SO busy” or “I’m doing well, I’m just soooooo busy!”. Believe me when I say that I am largely guilty of this as well. I’m involved in enough activities to make anyone go crazy. Add in a day job, staying fit, a online beachbody business and trying to keep a healthy and loving relationship with your husband and you’ve got yourself one busy lifestyle. Being busy is a fairly normal way of life for a lot of females. We are usually the household keepers, the ones involved in planning activities, kids sports, back to school madness,volunteers and more. Although women are super involved these days, I don’t believe we can be too busy to workout or be healthy. I have heard multiple people say, “I just don’t have the time” or “How do you manage to do it all?”. As a busy female myself, I wholeheartedly believe that you can stay active, fit and healthy while living a busy lifestyle. I do agree that it takes more preparation and planning, but if you make it a priority and consider these 4 fitness tips, you’ll be able to achieve this with ease. So, let me share with you my top 5 fitness tips for busy women. Here they are! 1.) Setting a workout time! I know the thought of getting up early can make you cringe!! What I have found is that it actually alleviates the stress of thinking about it ALL day and can become a morning "me" time!! If you can't waste the time getting to the gym or need to workout on your own time trying in home fitness may be the solution you are seeking!! Finding motivation to workout on your own is the biggest excuse I get with in home fitness, and we have motivational groups in place for that in the comfort of your own home online. Sounds crazy RIGHT!! But trust me it works! And the amount of time you save with getting a workout in at home in 30 min a day .... I bet you will eventually thank me! Go easy on yourself if you had planned on working out, but can’t fit it in. Everyone has busy days that are unexpected so if something goes off plan, reset and try again the next day. This is probably the most important fitness tip for me even though it’s technically a nutrition tip. Each Sunday, I sit down and make a grocery list and a meal plan for the week (blog post soon to follow). I look at my calendar and see what nights are going to be crazy busy and which ones will be less busy. I let that determine which nights we will be cooking and which nights we will be going out or picking up food for dinner. I cook most of my food for the entire week on Sunday and put it into individual containers for lunch each day. This helps me when I’m in a hurry and also ensures that I have access to healthy food throughout the day. Preparation will help make sure that you are eating healthy foods instead of giving-in to the office donuts, vending machine or drive-thru’s. When women are busy, they are notorious for not eating or finding something quick to snack on that isn’t always the best choice health wise. You would be surprised at how many of those “healthy” granola bars or packaged snacks you have in your desk drawer are packed with unhealthy carbs, high fructose corn syrup and more. Shakeology shakes are quick, easy and a great way to ensure you get nutrients you need, as well as protein to build lean muscle mass. If you’re not eating, you’re not able to burn calories efficiently. I recommend keeping a blender shaker bottle in your desk, car, suitcase and also keeping individual packets with you. All you have to do is add water. This is great for traveling or for days when you may not have a healthy food choice. I personally like the chocolate and strawberry flavors best. 4. 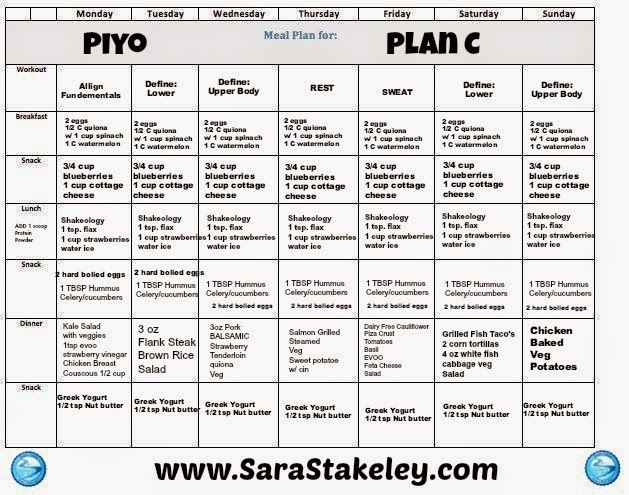 )Plan out your weekly Cheat Meal!! If you are eating out check the menu before online!! Are cheat meals OK???? Watch this to find out!! I hope you found this post helpful and will begin implementing some of these fitness tips to help with your busy lifestyle. If I can do it, you can do it. Want more daily motivation? 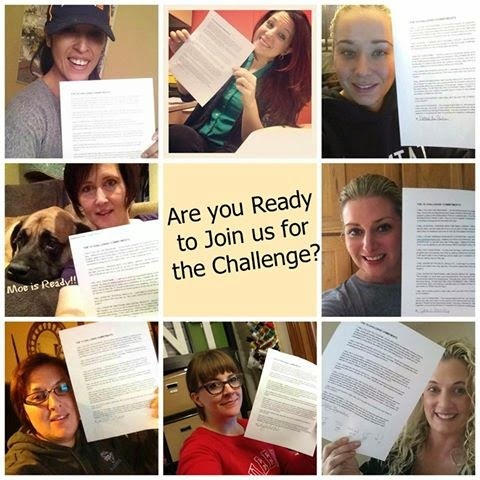 Apply to be involved in my next challenge group! 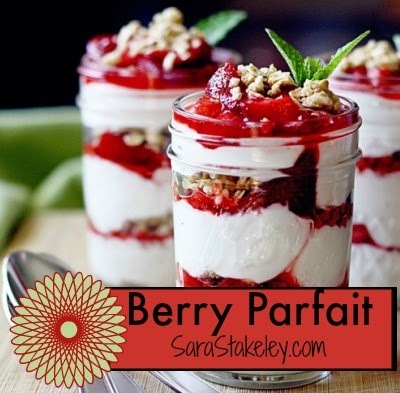 Eat Clean Desert time... Summer Mixed Berry Parfait!! CRAVING something sweet.. COLD and refreshing!! I bet the whole family will love this recipe!! rather than taking everyone to the Ice Cream Shop!! In a bowl, mix the pecans, maple syrup and salt. Make sure everything is coated well. Spread the nuts onto a lined baking sheet and bake for about 10 minutes, stopping halfway through to shake the pan. Let the nuts cool. Make sure your unopened can of coconut milk has been chilling overnight in the fridge. Open the can and scoop out the fatty white part. Put it in a mixing bowl with the vanilla. Using a whipping attachment, whip the coconut into a cream. This should take a few minutes. Once the coconut milk is whipped into a cream, you are ready to assemble the parfaits. I started with a layer of cream, then a layer of nuts , more cream, and top it with fruit. You can really assemble them any way you like. I also think these would be just as good without the the nuts. These parfaits will probably keep 4 days in the fridge. More if you keep the fruit and cream separate until you are ready to eat them. Enjoy! No time... Tight Budget?? We got you covered!! This time of the year can get a little crazy.... Right?? Last month for vacations!! Kids Back to school!! Sports and Cheer leading!! Band Camp!! Well what if you could take 30 min a day to focus on your health?? 30 MINUTES of ME TIME!! What is you could learn easy recipes, EVEN Crock pot healthy meals?? Learn how to cook on a budget, create EASY Gourmet meals the whole family will love! Create a meal plan and even how to make fast kid lunches and snacks!! 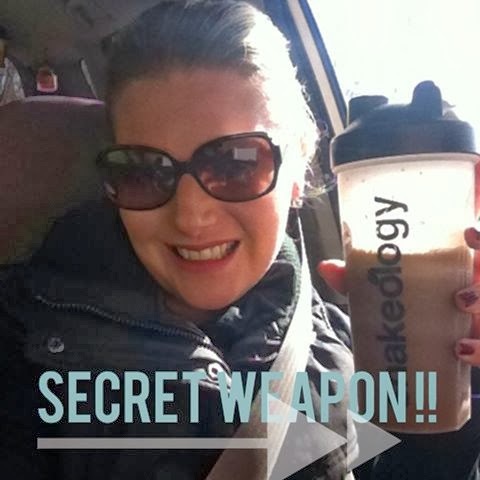 We even have a Nutrient dense shake that comes with it! Great for travel, Women on the go, fast food that fits in your purse!! It has 70 Super foods! It will reduced cravings, and it is clinically proven to help you lose weight and change your health!! I wanted to create a challenge that is just that!! Make it fun and light hearted!! Welcome TO OPERATION SKINNY JEANS!! Your boots won't be screaming this fall! NO more Peg Leg boot cut Jeans shoved into your BOOTS!! This is a private online support page starting in August!! Apply here online for a free consultation!! 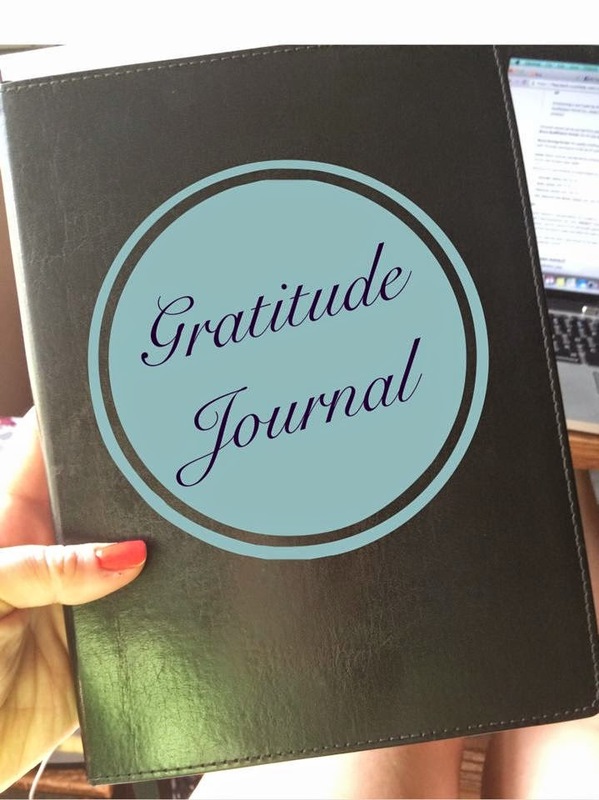 Gratitude Journal... Change your focus and change your life! I am the QUEEN of To Do lists, but last week I was reminded of how important it is to keep track of all you accomplish in a day and most importantly what you are thankful for! For 1 week so far I have written out what I have done and what I am thankful for! In my life, in my marriage,and in that day. When you change your focus and give thanks for what you already have it opens you up to receive more blessings. What will your blessings be for today? I challenge you to write them down too! Focus on what gives you the highest happiness in your day!! Don’t just go through the motions. Researchers suggests that journaling is more effective if you first make the conscious decision to become happier and more grateful. Motivation to become happier plays a role in the efficacy of journaling!! Go for depth over breadth. Elaborating in detail about a particular thing for which you're grateful carries more benefits than a superficial list of many things. It’s easy to get numb to the regular sources of goodness in our lives. Eating fresh, healthy, organic, local foods sounds great—but what if you're on a budget? Maybe you dream of shopping at Whole Foods, but the cold, hard light of day finds you wheeling down the aisles at Aldi's. It seems that when it comes to clothing EVERYTHING is always on sale!! And where you spend your money is in food!!! I feel your pain. Fortunately, there are plenty of ways to eat well and actually save money in the process. Your shopping list isn't going to include vegetarian, brown rice sushi rolls from the macrobiotic deli case, but trust us, you'll live. How often do you swing by the market on your way home from work, tired and starving? While this seems like grandmotherly advice, it's firmly rooted in current research; a new Cornell study shows that people who shop while hungry are more inclined to buy more calorically dense food. Shop with shakeology in hand this nutrient dense shake that taste like a brownie is sure to keep you geared toward your list!! Keep a piece of fruit or a small Ziploc® bag full of raw nuts in your bag to guard against filling your cart with foods you're craving now but wouldn't buy on a full stomach. While any processing takes away from a food's maximum nutritional value, flash freezing is a great way to preserve vitamins and minerals when vegetables and seafood are at their freshest. And the convenience of a bag of veggies or a filet of fish in the freezer can't be beat. The price? For seafood, there's no comparison: fresh is much more expensive—when you can get it at all. (If you check at your local grocer's fish counter, you'll find that much of what is being sold in the case as fresh has in fact been previously frozen.) Produce is trickier: frozen is sometimes, but not always, cheaper than fresh, in-season, fruits and vegetables. This may surprise you, but it's cheaper to get your veggies—organic or not—at the local farmers' market than at the local supermarket. A 2011 study by the Northeast Organic Farming Association of Vermont is one of several around the country showing that farmers' market prices are consistently lower than those of neighboring grocery stores.2 Who knew? So have a great time shopping with your neighbors and supporting local farmers, and be happy in the knowledge that you're saving money too. Don't cave in to the snazzy packaging on the supermarket shelves. Make your meal plan and shopping list at home, and then stick to it. Here's the exception: when you shop at the farmers' market or local produce stand, sometimes a gorgeously fresh fruit or vegetable will stand out—one you hadn't planned on. Build some flexibility into your list to account for these unanticipated treasures . . . just decide which meals you want to add them to before purchasing. A good rule of thumb is to stick absolutely to your list of pantry items, but give yourself some leeway with fresh, seasonal foods. Beans are a great source of protein and fiber, and form the cornerstone of many world cuisines. And they're dead cheap—if you buy them dried. Soaking your own beans is easy, though it does take more planning than opening a can of them. But it's no big deal. Just decide the night before what you're going to eat the next day. If a meal includes beans, then put them in a pot of water to soak and leave them overnight. In the morning, let them cook as you're getting ready for the day. Costco® and other warehouse stores sell fruits and vegetables at ridiculously low prices—if you're willing to buy, say, 15 pounds of potatoes or 8 pounds of oranges at a time. You're in for some work at home, but at those prices, who's complaining? Also, in many regions it is possible to pair up with another family or two and buy a portion of either a cow or a pig directly from a local farmer. In exchange, you will receive many, many neatly wrapped and labeled packages of meat. An extra freezer is necessary for this, but well worth the investment if you live in a region where such arrangements exist. Another huge benefit of this is that you know the animal was not raised on a factory feedlot. Therefore, the meat will likely be free from the steroids and antibiotics that plague grocery store bargain meat cuts. Community Supported Agriculture is another way to save money by cutting out the middleman. With a CSA, you pay a flat fee up front. On the East Coast it's typically $400-$500—for a whole growing season of produce! Every week you get a box of whatever came out of the farmer's field. Like buying in bulk at warehouse stores, this calls for some time and creativity in the kitchen. In late summer, we sometimes freak out trying to figure out what to do with all those perfect, ripe tomatoes. What a problem to have! Over the last few decades, restaurant portions have become gargantuan, and we somehow seem to think that a platter of food is actually a single serving. Most restaurant entrées can easily feed two or three. So when you're out, either share a single entrée, or get half boxed for another meal. And at home, serve smaller portions on smaller plates. It won't take long at all before you're satisfied with sensible portions! 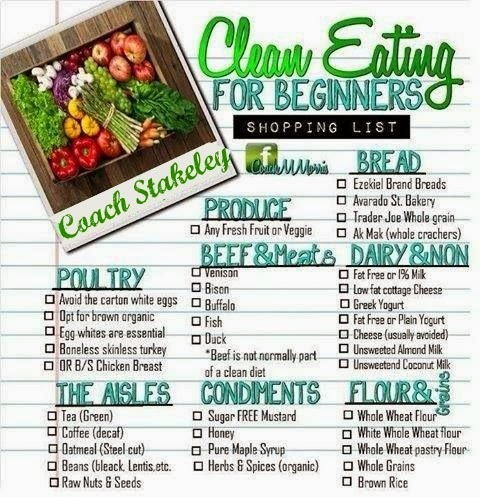 Hope this helps you to see where you can cut back and save money on the food you need to keep healthy!! For more help daily with meal planning and recipes request to join my challenge group! Apply Here!! AUGUST!!! Brand New Challenge Groups to Rock Those Skinny Jeans!!! Can you believe it's already the end of July? I have no idea where the summer goes. Between parties, picnics, vacations and cookouts it's no wonder it feels like the weeks fly by! Does it feel too as though we set out with all of these goals and ambitions to check off our list, but before we know it the summer is over and the kids (and maybe you if you are fortunate enough to enjoy your summer off) are packing up the summer clothes and heading back to school? I know, I know poor August can get overlooked! So before I get ahead of myself, here are some questions you may want to ask yourself.1. Did I confidently rock my bathing suit like I said I would?2. When I look in the mirror, do I look at my positive traits first or what I believe to be my negative? 3. Did I have a hard time making healthy choices at parties and barbeques?4. Did I find it harder or easier to make time for workouts during the summer months? 5. How do I plan to keep myself accountable for living a healthy lifestyle during the chaos of back to school season? As you are reading through these questions are you reflecting on your own transformation or healthy lifestyle? 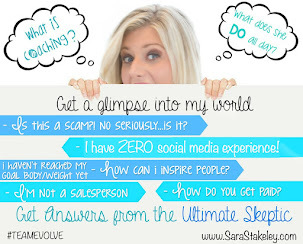 If so, I invite you to be a part of one of my August challenge groups. I've made some positive changes to accommodate the busy lifestyle so many of us lead, especially in the fall. My 30 Day Operation Skinny Jeans Challenge starts August 18thIn this group we work together to focus on your goals and how you can achieve them while trying to manage the daily demands of your busy life. I spend some time writing out attainable yet challenging goals with you. 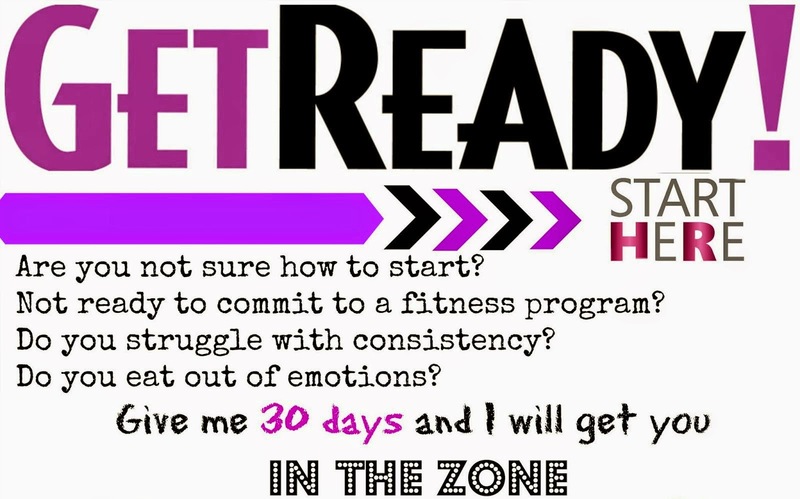 We break it down into 15 and 30 day goals. Then, I spend a few days with you providing you with information on clean eating, meal planning, preparation and more so that you feel confident in creating a manageable, healthy lifestyle: not a diet.So how have I revised the operation skinny jean challenge? After seeing the amazing results from my summer stripped clean eating groups, I've decided to make working out a recommendation for this group but NOT a requirement. I know that finding time to workout is a challenge to us all, but I've found that clean eating and meal planning are the KEY to any lifestyle change. The workouts are important and we can create a personalized plan for you, but your diet has to be the priority! By the way, what is a challenge group? One of my favorite parts about challenge groups is that you can be anywhere to participate: Canada or the United States. 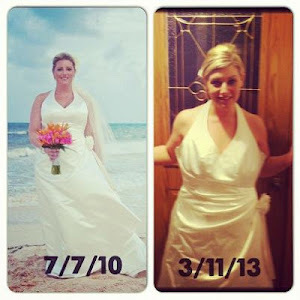 You simply have to have a facebook account and a willingness to motivate and help others on their own healthy journey. Everything is run through private Facebook groups, and I will be there every step of the way to give you motivation, meal plans, recipes, tips and accountability to keep you on track. Thanks for taking the time to check in, and if you'd like to set up a time to chat to see if challenge groups are something that can work for you, apply here for more information. If so then message me for the details!!!! 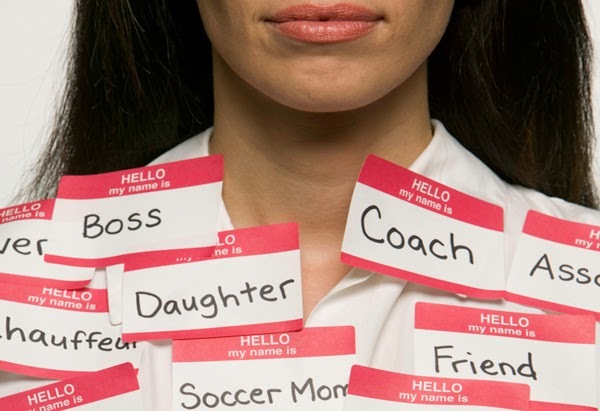 There are limited spots available in order to preserve the individualized attention to each person. The group begins on August 11th with PRE SEASON to get your ready to ROCK and the last day to register is August 12th! ARE YOU READY FOR THE CHALLENGE??? ?